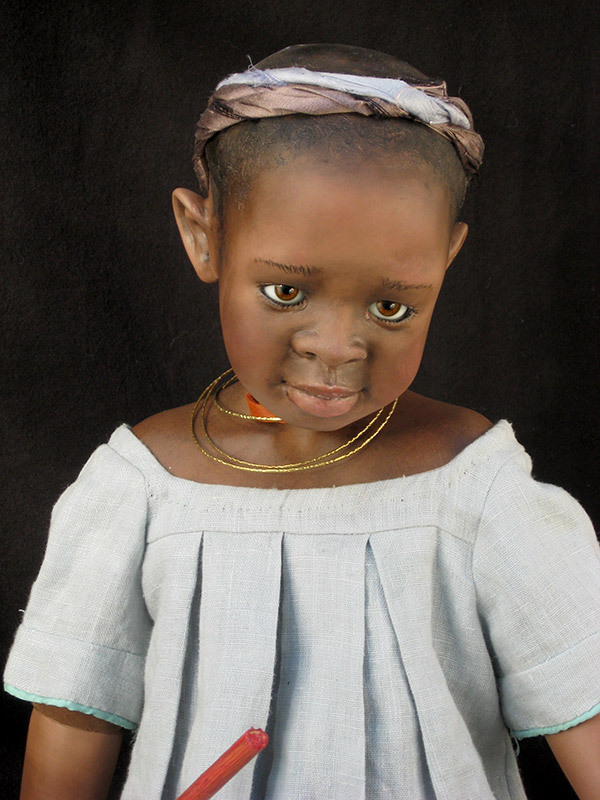 Little Bantu is from West Africa and wears a natural linen smock and silky pants. Molded and painted hair decorated with ribbon and beads. 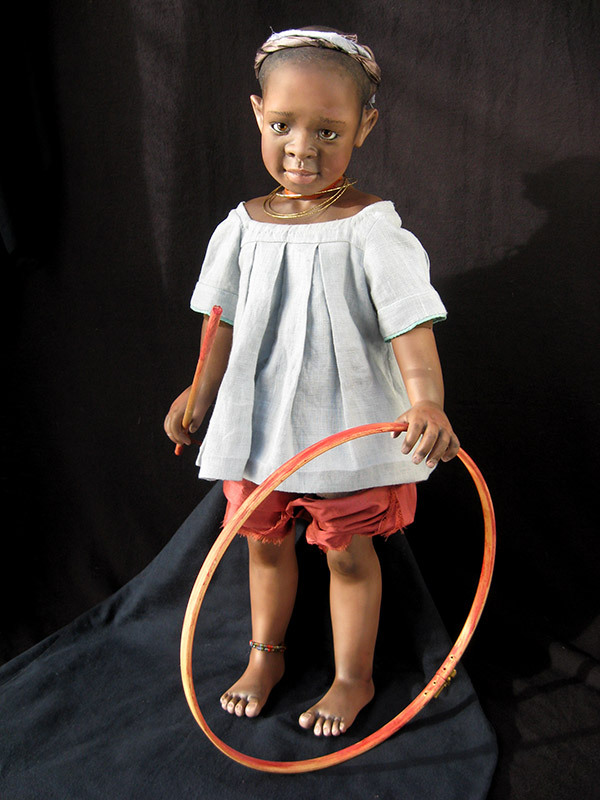 She is playing an African stick and hoop game.